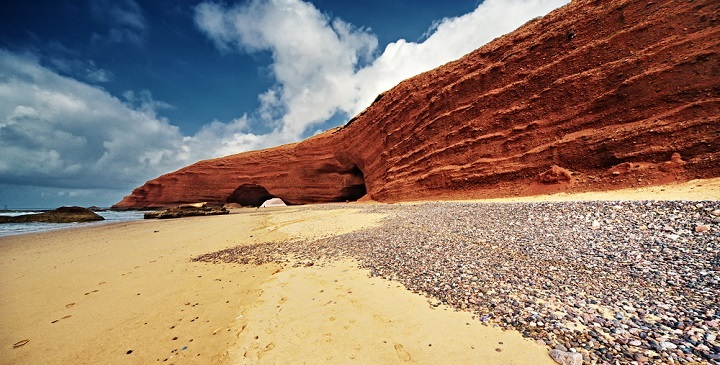 Legzira is a wild beach, 130 km from Agadir located in the rural town of Mirleft, between the towns of Tiznit and Sidi Ifni.Une sand and pebble beach of several kilometers, very quiet with breathtaking landscapes, beach dream, with beautiful arches. Legzira one of the most beautiful natural sites in Morocco. It reached from the Legzira beach, four arches carved by the ocean, an unforgettable ride. Some anglers are positioned on the reefs, while gawking tourists discover the extraordinary result of sea erosion that has nicked the cliffs of red sandstone. This uncrowded beach is a sand bank that lies between the ocean and the cliffs of a very particular color, tan / red. The water has carved these cliffs while rounded and even dug to form three huge arches under which it is impressive to go! Good waves for surfers, pleasant corners ... A pleasure for the eyes and enjoy the water and sun. 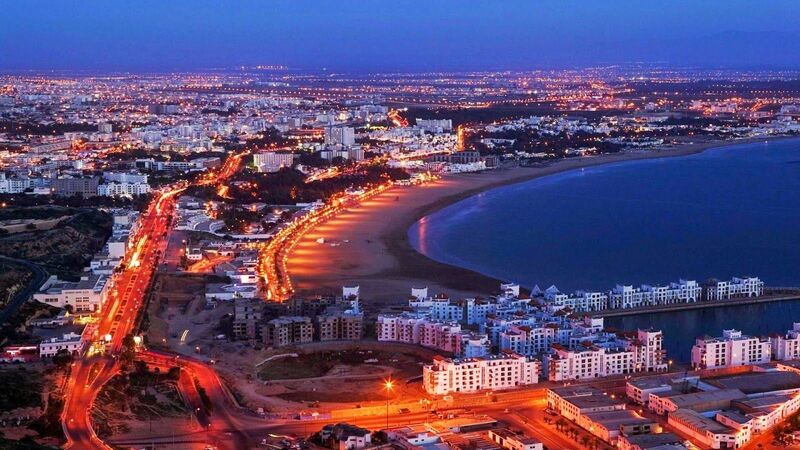 -You will be picked up at your hotel in Agadir at 7:30. You will travel in a vehicle with four wheel drive or minibus, air-conditioned comfort.